Inspired by Bitcoin, this tie clip is a must-have for anyone who believes in the power of cryptocurrency. Discreet yet sophisticated, it will style up any outfit of yours. 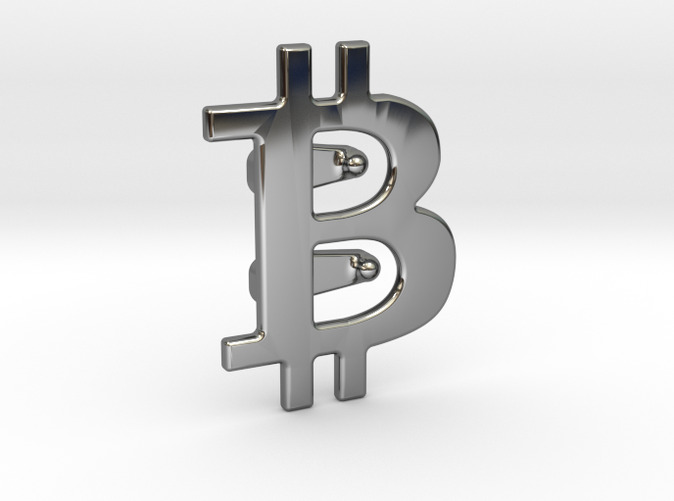 Originally introduced to the public in 2008, the Bitcoin has come a long way. 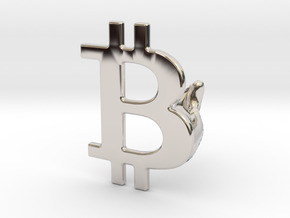 The Bitcoin was brought to public light by Satoshi Nakamoto to be a fully transparent, anonymous and decentralized currency system for the world, which has gained much traction and attention to the public today. 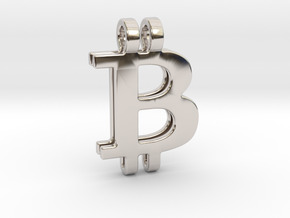 This Bitcoin tie clip is designed for Bitcoin enthusiasts worldwide. Created specifically for believers of the currency Bitcoin, the future of money is at the hands of the people. Here is our version of the original Bitcoin made into a 3D Bitcoin tie clip, crafted in the material of your choice. This Bitcoin tie clip can be the perfect gift for any cryptocurrency enthusiast or awarded to miners in the trade as a token for achieving success within the block chain.